I am the sprouting seed of my ancestors. My journey thus far has been a learning experience, with growing pains and helping hands to get me where I am now. I have been blessed with amazing women that stand by me to pay it forward in this mission to empower our future generation of Latina girls and teens. We are 100% volunteer run and service all girls for Free! We have been running for almost 4 years, thanks to our community partners, and contributors that have selflessly volunteered to join us, in this Girl Empowerment March! We are in the process of making our program into a non-profit but need financial help to make this dream possible and run Summer Program. The funds from this campaign will help us with costs of making our program into a non-profit, but specifically for this year's Summer Program in which we will be serving 25 girls! Our theme will be HEALTH WELLNESS from a cultural perspective! The funds will help us to get t-shirts, for the girls and volunteers, yoga mats for the girls which they can use for the program and take home to include yoga in thier daily lives. We will be hiring a ZAPOTEC YOGI to come give classes to the girls and have a NUTRITIONIST, to talk about the benfits of healthy eating and how to prepare their own cultural healthy snacks! In addition, we willl also welcome a healer that will talk to the girls about the healing our ancestors practiced and the benefits and use of some herbs and plants. The funds from this campaign will help us cover the costs of the above mentioned and materials needed in class so they can document their Summer experience! The Team of GEM serving as Teachers, Mentors, and Chaperones for the self-esteem and community component will not get paid for their expertise and contribution. We are the seeds, we are the water, we are the earth and we are the sunlight that will determine our growth . Ethnic Studies has been left out of our traditional curriculum, especially in Elementary schools. School does not foster all the areas of the culturally intellectual development of a child. This is why I was driven to implement Ethnic Studies (specifically Latin American and Indigenous Studies) and cultural pedagogy at a level appropriate, that is fun and unconventional. In addition, GEM also brings to light the historical and current Latina and Indigenous female figures/leaders/activists that have contributed and made a positive impact in their community and the world. It is relevant for girls to be exposed to role models that look like them. It is beautiful to see the girls place themselves on their historical timeline in a critical but refreshing way . It hits home, because our DNA has memory. Learning their historical narrative is transformative and empowering and brings value to their identity. It welcomes them to be proud of their linguistic abilities and heritage while fostering a deeper understanding and solidarity with other cultures. Our ultimate Vision is to create and develop a more just society that fosters global unity. Exposing them to a whole narrative that includes the oppression, the struggle, the resilience, the community, the contributions, and the responsibility, can encourage them to be change-makers aware of the infinite possibilities! It is never too early to start planting those seeds at a young age. Thank you all who have contributed and stood by us in solidarity in the past. We believe exposure is important, for this reason we tie each lesson, workshop, speaker and fieldtrip to a theme that fulfills our mission. We service girls ages 6 - 18 from low-income families, single-parent homes, indigenous descent or special circumstances. We are very transparent on where the funds go and keep all receipts for confirmation and accuracy. 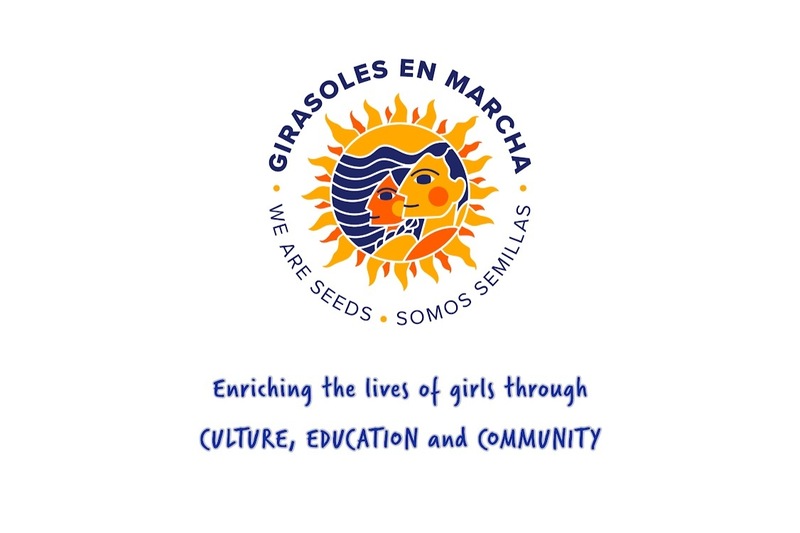 When you support Girasoles En Marcha, you are helping fulfill the potential of our future Latina Leaders. Thank You all in advance for joining us in this Girl Empowerment March.